Welcome to the Milford Exempted Village School District. We are pleased to assist you in becoming a part of our excellent district. We hope that the following information will be helpful to you. Central Registration allows you to enroll all of your students, at one location, for any building in our district except preschool. You can make an appointment by calling 513.576.4178. Registration is by appointment only. Parents should call Jay Batterson at 513.576.4178 from 7:30 am to 4:00 pm to make an appointment. Kindergarten registration for both half and full-day kindergarten for the 2019-2020 school year will begin on January 16, 2019. To be eligible for kindergarten, a student must be five by September 30, 2019. 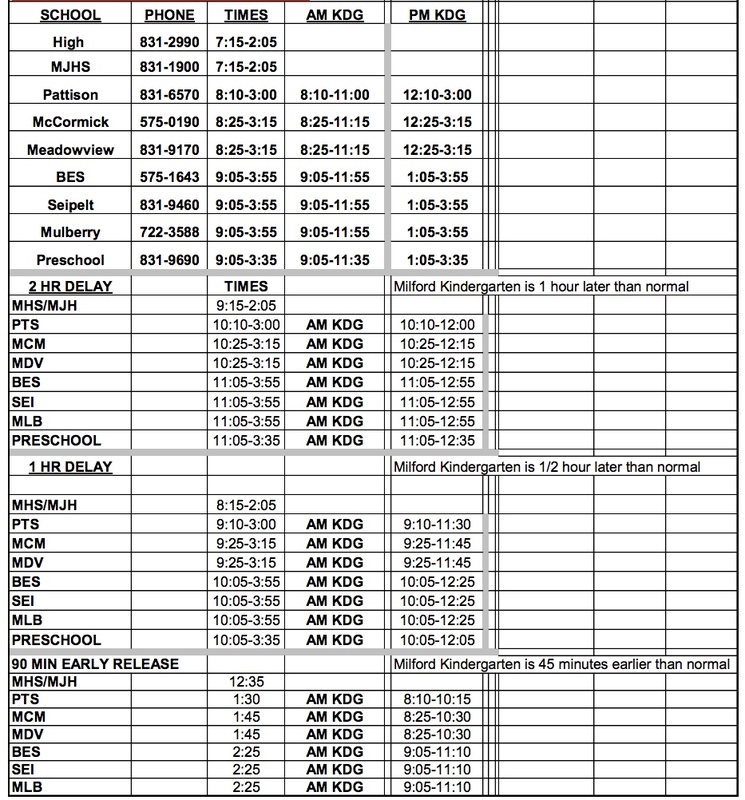 Parents must call the Milford Administrative Offices to make a registration appointment. Please call Carrie Clark between 8 a.m. - 4 p.m. at (513) 831-1314 to arrange this appointment. Before the registration appointment, parents must complete online registration forms. Click here for links to the forms and further information about half-day and full-day kindergarten. It is important for students who are in grades 7 to 12 to bring an unofficial copy of their transcripts. You will need to have an appointment with a guidance counselor to schedule courses. The guidance counselor will need to see a transcript in order to assign a student to appropriate classes. The lack of a transcript could delay this process.